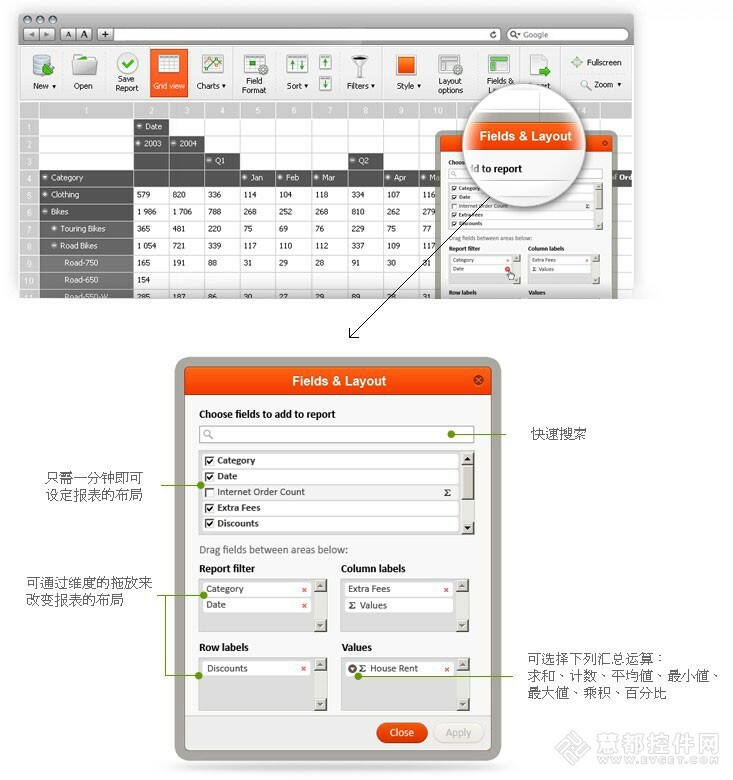 Pivot Table & Charts Component is rich internet application designed to view, analyze and manage multidimensional data online. 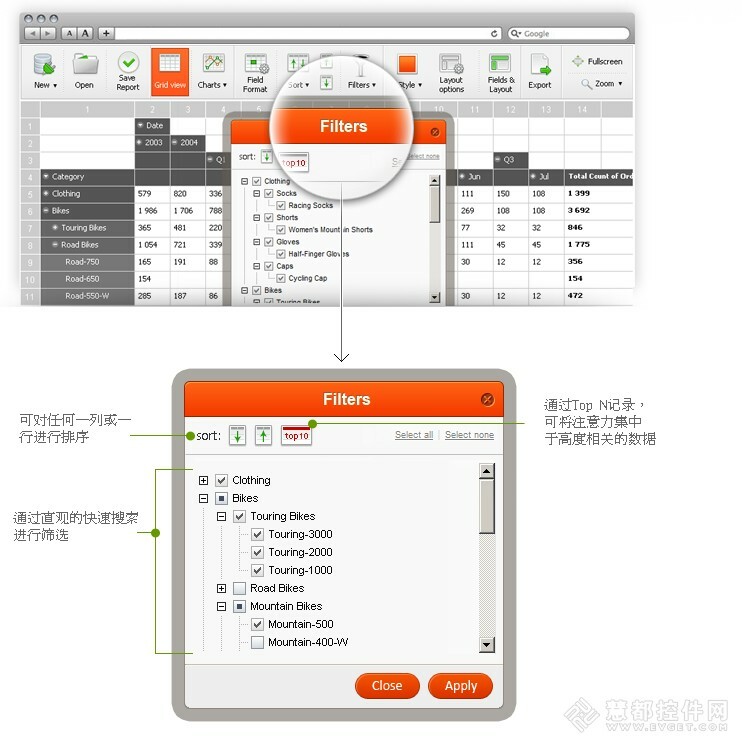 With Pivot Table, you can look at the same information in different ways with just a few mouse clicks. 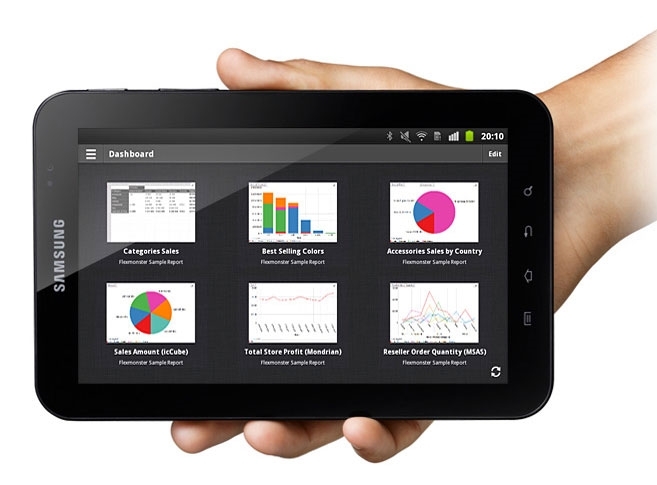 Component is optimized to manage SERIOUS data. The grid renders multiple millions of cells. If your browser can take it, we'll dish it out. Drill-down data both on rows and on columns — from the summary data to details. Drag and drop your row and column choices. Choose filters and see your report instantly. 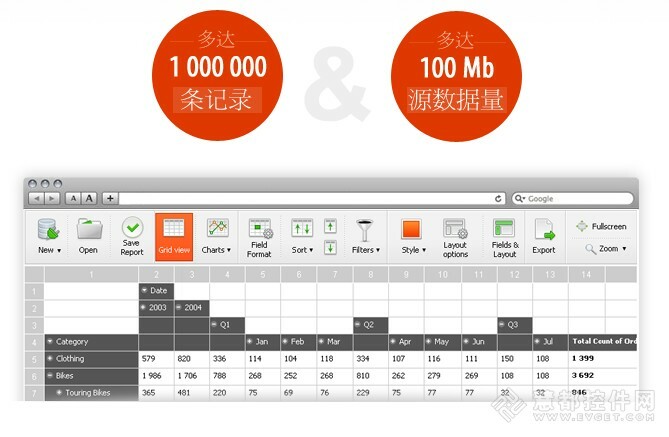 Charts is the alternative, interactive way to visualize the most complex data in your tables. Drill down from the summary data to details on charts. 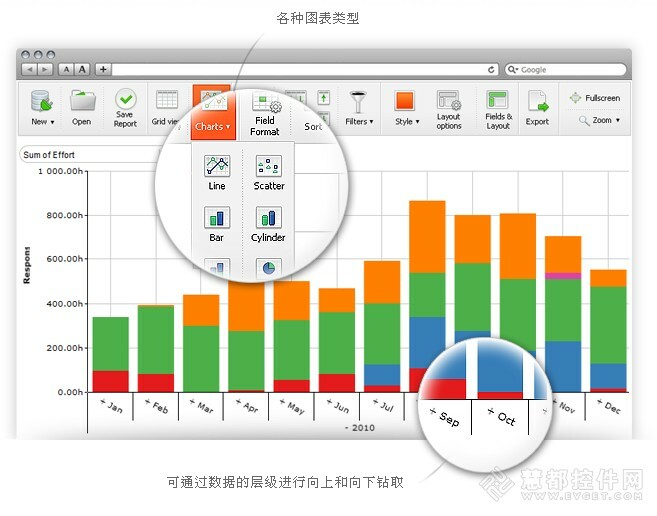 Different chart types, such as: bar, line, pie. 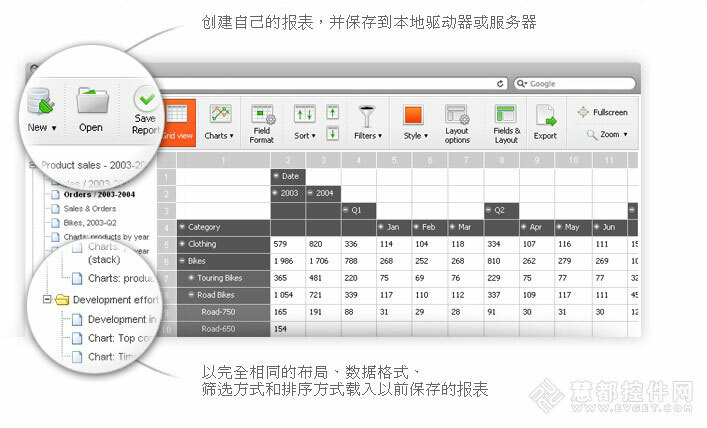 Customize each chart with convenient tool tips and legends. Easily switch between charts and table views to make sure you know what each chart is telling you. You can drill up and down through data hierarchies and see charts at every level. Visualize everything from the big picture to the smallest details. 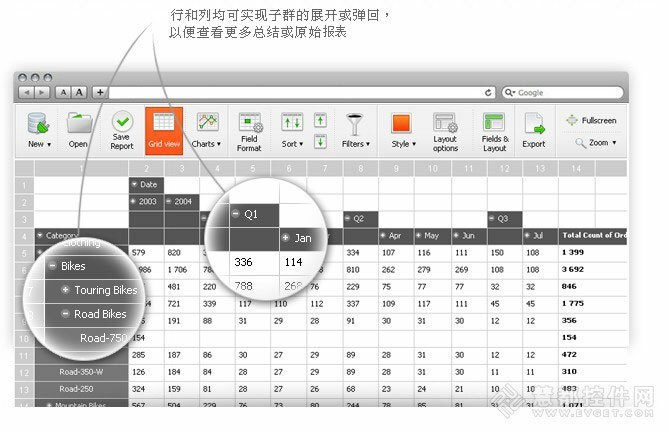 Excel-like features give users the interface they're used to. Count totals and aggregations both on server-side or client-side. Even if you don't have OLAP cube on your server side, Pivot Table can aggregate your data in runtime. You can predefine aggregation in the configuration or use the interface. Developers customize the look and feel of the grid, data source and default slices of data they need to see. Developers can customize the look of the grid and all interface elements using standard CSS. 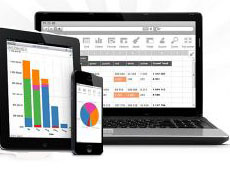 Pivot Table & Charts component works seamlessly with C#, PHP, Ruby on Rails, ASP, JSP. 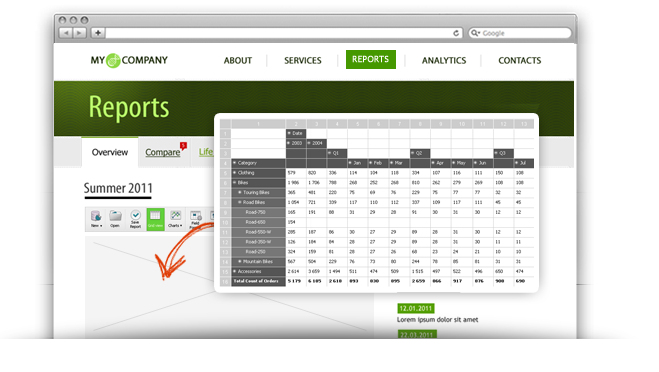 It is easy to embed any part of the Pivot Table grid or chart components into your Flex application. Pivot Table's Flex API allows developers to change styles, component sizes and custom data for visualization. Total size is less than 150K.It is smaller than any single grid component in Flex framework such as the Flex AdvancedDataGrid, OLAPDataGrid or even the simple DataGrid.